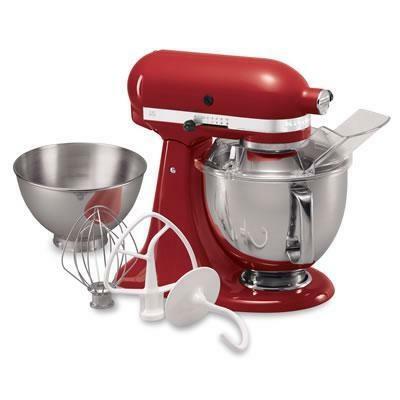 KitchenAid Ultra Power® tilt-head stand mixer model has a 325-watt motor, 5-quart stainless steel bowl with comfort handle, pouring shield and tilt-back mixer head design that provides easy access to bowl and beaters. 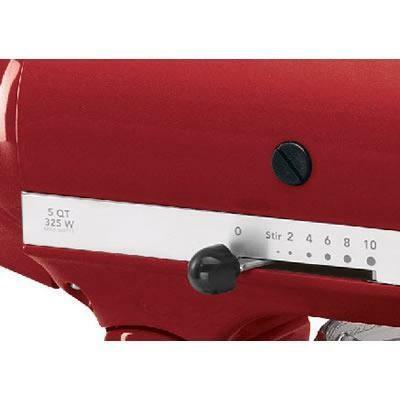 Other Features 9-Cups Flour Power. Multipurpose Attachment Hub with Hinged Hub Cover. Planetary Mixing Action. 5-Quart Glass Bowl with Tapered Spout. Two Bowls Included (5 qt/4.7 l; 3 qt/2.8 l). 10-Speed Solid-State Control. Flour Power™ Rating of 9 Cups. Locking Tilt-Head Design. Power Hub for Additional Attachments. 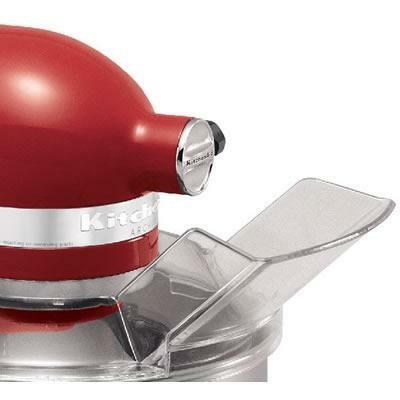 Tilt-head design allows clear access to the beater and bowl. Included 3-quart polished stainless steel bowl. Flat Beater, Dough Hook and Wire Whip.